This watch is designed for those who love the pure and simple look of vintage Flieger (pilot's) watches, but prefer the larger case and dial sizes in use today. 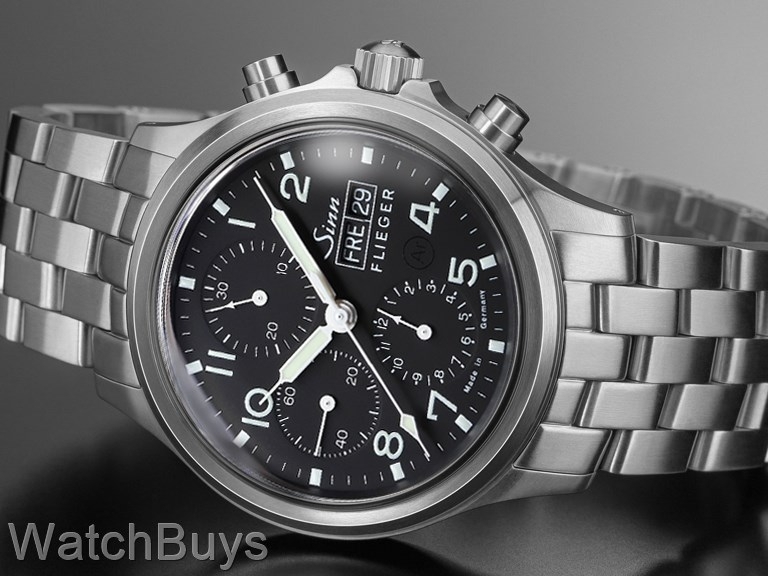 For many years, the Sinn 356 series has been a best seller, in all of the different formats. 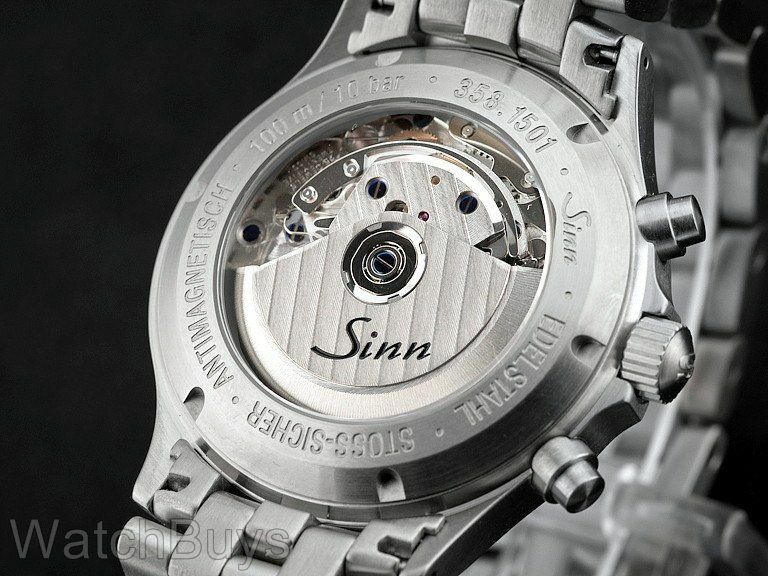 In fact, it remains popular today, even though its case size of 38.5 mm is a bit small for some. This watch features Sinn's latest pilot's case in 42 mm, designed and produced in-house at Sinn's casemaking facility in Glashutte, Germany. When sapphire crystal is highly domed, it must be made in a special way such that the center is actually thicker and stronger than the crystal sides to protect the crystal from shattering. Further, all of this must be done in a way that the optics do not distort the dial. 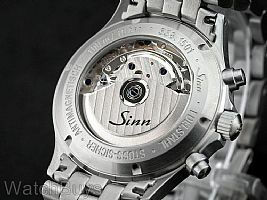 The Sinn 358 Sapphire uses a highly domed front sapphire crystal which is very difficult and timely to produce, and therefore adds significantly to the cost of this watch. The case back is nickel free offering protection to those with allergic reactions to this metal. Satinized steel case with solid case back. Dial is black with traditional three sub dials and features Arabic numerals. Watch is water resistant to 100 meters. Bracelet has a matching satinized finish, is extremely well made and solid, and features a folding security folding clasp. One feature that many of our clients prefer in this watch is that it shows both the month and day at the 3 position. Verified Owner Comments: Great watch. Classic look. Crown feels positive and easy to use. In daily use very accurate.